Will the registered investment advisor (RIA) growth train ever run off the rails? Not likely, according to multiple industry research studies. The latest, from the Investment Advisor Association (IAA)and National Regulatory Services (NRS), revealed that the industry’s aggregate regulatory assets under management (RAUM) hit $70.7 trillion in April of 2017, a record high. According to IAA’s and NRS’s 17th annual Evolution Revolution study, that figure was 5.8 percent higher than in 2016. What’s more, the study revealed a net increase of 325 advisors or 2.7 percent since the 2016 report. The study highlighted a remarkable 17-year trend in which RIA asset growth outpaced the increase in U.S. Gross Domestic Product (GDP) as well as in the S&P 500. In fact, total industry assets under management have increased 220 percent since 2001, a compound annual growth rate (CAGR) of 8.1 percent. That compares with a CAGR for the S&P 500 index and for U.S. GDP of 4.6 percent and 3.8 percent, respectively. Clearly, the RIA industry picture is exceedingly bright. There are 12,172 SEC-registered firms managing more than $70 trillion for more than 35.6 million clients. Over the past four years, the industry has grown its non-clerical workforce to 778,002. But just as advisors counsel their clients that bull markets never last forever, most industry observers recognize growth may not be infinite. That’s because there’s always the macro risk of economic and market events dragging down AUM. There’s also the macro risk of industry trends that hamper firms’ ability to compete and grow. Finally, there are micro- or firm-level ethics and compliance risks that can spark disruptive legal and E&O insurance disputes. The Evolution Revolution study goes on to define “investment advisor” as “a broad range of companies and people in the business of giving advice about investing in securities. In addition to investment advisor, they may use other titles such as investment manager, wealth advisor, financial planner, investment counsel, asset manager, wealth manager or portfolio manager.” It’s also important to recognize that “investment advisor” refers to an entity (individual or firm) that is registered with the SEC based on the definition set forth in the Investment Advisors Act of 1940. These entities, which form the basis of the IAA/NRS study, have $100 million or more in RAUM, and don’t include state-regulated RIAs, which have less than $100 million in managed assets. Serve individual clients and have at least one pension/profit-sharing plan as a client. Have some $333 million in RAUM. Have nine employees on staff. Have anywhere from 26 to 100 clients, representing 108 accounts. Have discretionary authority over client investment portfolios. Be organized as a limited-liability company domiciled in New York, California, Texas, Massachusetts, Illinois, Florida, Pennsylvania, Connecticut, New Jersey, or Ohio. Not have actual physical custody of client assets or securities. In terms of compensation methods, the Evolution Revolution study found stability in methods used, with the vast majority of advisors getting paid via asset-based fees (95.2 percent). Other major methods included fixed fees (42.3 percent) performance fees (38.2 percent), and hourly charges (28.5 percent). Notable (though still slight) increases were found in the use of hourly charges—28.5 percent in 2017 vs. 28.1 percent in 2015—and fixed fees (42.3 percent vs. 41.5 percent), along with decreases in the use of subscription fees and commissions. Also noteworthy is the fact that the industry appears to have few disciplinary problems. The Evolution Revolution study observed that 86.4 percent of the RIAs it studied had no disclosure events, roughly the same percentage as in 2016. Only one percent of the advisors said they or an affiliate had been charged with a felony, with less than half of that number saying they were convicted or pled guilty nolo contendere. And only 164 firms or advisory affiliates (1.3 percent of the total) said the SEC or the Commodity futures Trading Commission (CFTC) found them to have made a false statement or omission; 542 firms (4.5 percent) reporting having violated SEC or CFTC regulations, a modest increase over 2016. Finally, only 15 firms admitted having their authorization to do business denied, suspended, revoked or restricted, a 6.3 percent decrease compared with 2016. Although a full discussion of the Evolution Revolution study is beyond the scope of this article, its findings highlight the fundamental strength of the RIA business, especially of its people, processes, and ethics/compliance framework. But again, nothing is forever, and all businesses are subject to macro and micro risks to some degree. How an industry and its individual businesses identify and protect against those risks will determine how far its growth train rolls. What are some of the macro risks the industry faces? The growing consolidation of the industry through mergers and acquisitions. The RIA business consists mainly of small firms, many with fewer than 100 clients. Still, the Evolution Revolution study shows that relatively few huge RIAs manage an increasingly large share of total RAUM. Specifically, 124 advisors reported managing $100 billion or more in RAUM, representing a 2.5 increase over 2016. This means the largest firms manage more than half of the assets and generate more growth than smaller firms (firms with RAUM of over $100 billion posted 7.2 percent RAUM growth this past year vs. 3.2 percent for firms with under $1 billion of RAUM, the IAA/NRS study found). As firms get bigger, they will likely exert competitive pressures on their smaller rivals. The spotty nature of RIA succession planning. According to a recent Fidelity RIA Benchmarking Study, nearly 40 percent of RIA firm owners expect to leave the industry over the coming decade. However, 75 percent of them have failed to designate a successor. This is a common problem across the entire financial-services industry. But the fact that RIAs are often “solopreneurships” means any succession hiccup will have a strong negative impact not only on firm clients, but also on the industry’s overall growth prospects. More RIAs attempting to scale up in search of competitive advantage. For instance, according to Charles Schwab’s 2017 RIA Benchmarking Study, RIAs benefit strongly from scaling their businesses. A firm with $100 to $200 million in AUM will typically have 53 clients per professional representing $376,000 revenue per professional. However, those with $1 billion to $2.5 billion in AUM will tend to have fewer clients (45), but much higher revenues per professional ($609,000). The problem is, only a third or fewer of the firms are doing what’s necessary to achieve scale . . . namely, become better at strategic planning/execution, at using technology to enhance productivity, at managing the customer experience to increase satisfaction, at increasing investment in technology-mediated marketing, and at using process changes to improve productivity. More large firms having trouble making their business models and practices investor friendly. According to industry experts, the larger an RIA gets, the more likely it will focus on its own success requirements and ignore or minimize client needs. Although operating under a fiduciary standard might make this trend less damaging than it has been on the suitability-standard wirehouse side, the quest for scale can make it harder to be customer-focused, a weakness that will distinguish successful RIAs from the also-rans. The emergence of robo-advisors. As most know by now, robo-advisors are automated, Internet-based portfolio management services. They use computer algorithms to assess client risk profiles and to create and rebalance asset allocations. Because such services minimize the human element in terms of service delivery, their costs are a fraction of what it typically costs to hire a flesh-and-blood advisor. But even though they are low cost, they often have add-on features such as automatic portfolio rebalancing and tax-loss harvesting that can help boost investment returns for investors. In just a few short years, U.S. robo-advisors have grown from being financial-services upstarts to well-known players on a steep growth curve. Several sources (Aite Group, Benefits Pro/Business Research, Inc.) suggest total U.S. robo-advisor AUM in the $60 billion range and rapid growth over the next decade. In response, large firms such as Charles Schwab and Vanguard have rolled out hybrid robos (automated plus human advice), further amplifying the threat to independent RIA firms. Still, experts such as John Ndege, CEO of Pocket Risk and Michael, Kitces, a financial planner and industry consultant, question the thin margins of robo-advisors, which might squeeze their ability to acquire new business. The point of listing these RIA macro risks? That any time a trend has a negative impact on firms, there will be a tendency to respond by adopting more aggressive business strategies, reducing compliance and customer-service budgets, and offering riskier investments to clients. These will elevate an RIA’s E&O risks, making the need for professional liability insurance more important than ever. And these are only the macro risks. Micro-risks, which refer to actions and procedures that occur within the firm—trade errors, wire fraud, and the like—pose tremendous liabilities also, if not well managed. We will discuss those in the Part 2 of this series. 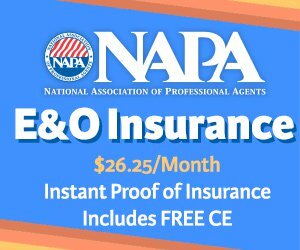 For more information about E&O insurance for RIAs, please go here.